Keeping your house clean can sometimes feel like a full time job – on top of the one you already have. Let the professionals at Mint Fresh Cleaning help you out since cleaning is our full time job! We serve all of West Omaha, NE and are an accredited member of the Better Business Bureau. Our house cleaning services come highly recommended and all our staff undergoes thorough background checks before taking their first job. We are fully licensed, bonded and insured. It is our goal to leave your home spotless and we will pay special attention to any areas you see fit. Let us help you keep your home looking fresh and clean. Mint Fresh Cleaning Services provide maid service throughout the West Omaha NE region. We are here to help busy individuals or commercial clients keep their home or office neat and tidy. Our maid services are available weekly, bi-weekly and monthly for your convenience. We ensure each member of our staff is fully trained and has completed a thorough background check before they enter your home or office. Our maid service is fully licensed, bonded and insured for your convenience. Relax, and let us worry about keeping your home clean. With one less thing to worry about, you can use that extra time to check other items off your to-do list and spend time with friends and family. While you’re doing that, your home or office will be thoroughly cleaned and organized to your specifications. Mint Fresh Cleaning Services offers reliable and adorable cleaning service to commercial and residential clients in the West Omaha, NE area. 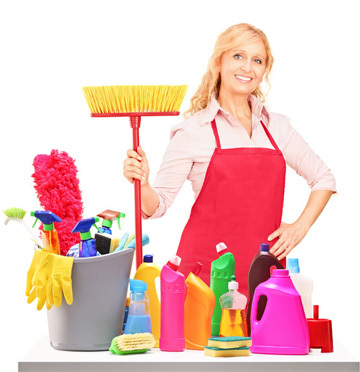 Having some help keeping your home or office clean can be very helpful. Our fully trained staff is thoroughly trained and will focus on any areas you would like. We require all employees to complete a background check before starting any job. We are fully licensed, bonded and insured. We let our work speak for itself and gain many of our clients through referrals. If you refer us you will receive $20 off your next scheduled cleaning appointment. We offer weekly, bi-weekly and monthly service for your convenience. There is nothing more frustrating than a dirty, unorganized office. 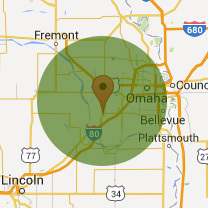 Mint Fresh Cleaning provides office cleaning services to the entire West Omaha, NE area. We are experienced and affordable cleaners who guarantee complete satisfaction with our services each and every time. We are fully licensed, bonded and insured. We are an accredited member of the Better Business Bureau who gains most of our customers through referrals from satisfied customers. We offer weekly, bi-weekly, and monthly office cleaning services to suit your needs. We take cleaning seriously. Let us help you keep your office in tip-top shape.